Charity on Purim is a very special mitzva. Supporting widows and orphans is a very special mitzva. 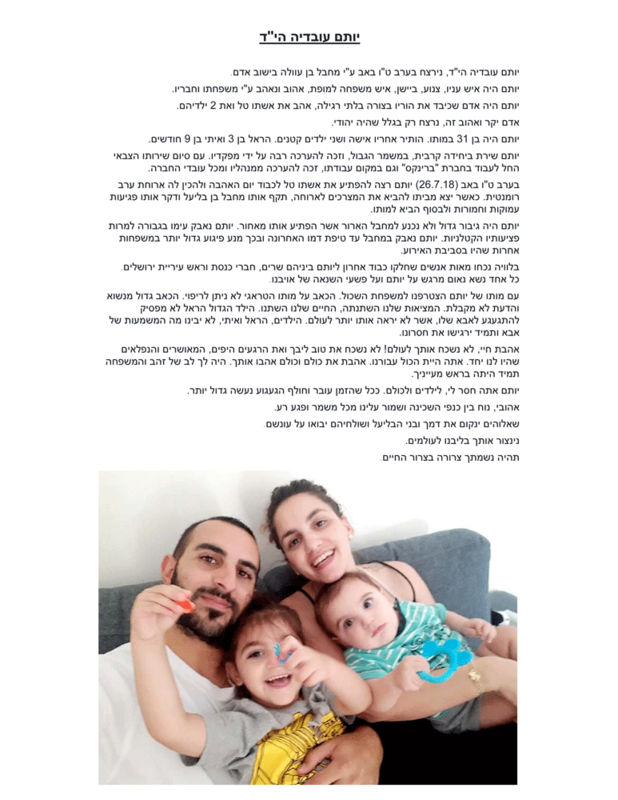 Tal, Itay and Harel will spend their first Purim without their husband and father, Yotam, HY”D. Please help ensure their future. Yotam was near his home in Adam, just outside Jerusalem. He was on his way to prepare a romantic dinner for his wife, Tal, for Tu B’Av—the holiday of love. A father of two young children (3-year-old Itay and 9-month-old Harel) and a decorated IDF combat veteran, Yotam had everything to look forward to. He couldn’t have known that this holiday of love would be forever ruined by an act of hate. He couldn’t have known that this summer night would be his last. He couldn’t have prepared for the terror attack that took his life—all he could do was fight back and try to prevent even more innocent lives lost. 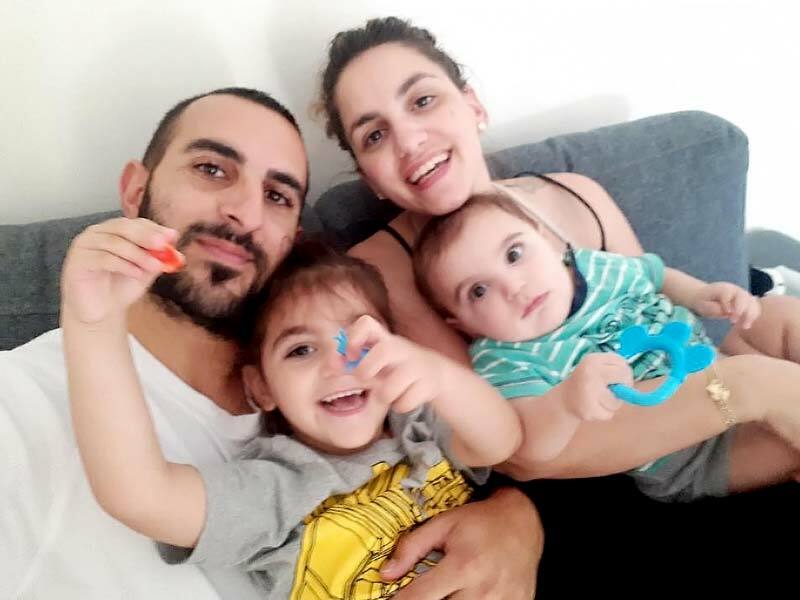 Instead of a meal together celebrating love, the terror attack left Yotam’s children without a father and the income needed to support them. Tal got a lot of “thoughts and prayers” from everyone, including President Reuven Rivlin, US special envoy Jason Greenblatt, and UN Special Coordinator to the Middle East Peace Process Nickolay Mladenov. But after the dignitaries and reporters were gone, all that Tal was left with was the cries of Itay and Harel, and her low part-time teacher’s salary. Their lives are shattered and their future is uncertain… Can you help? 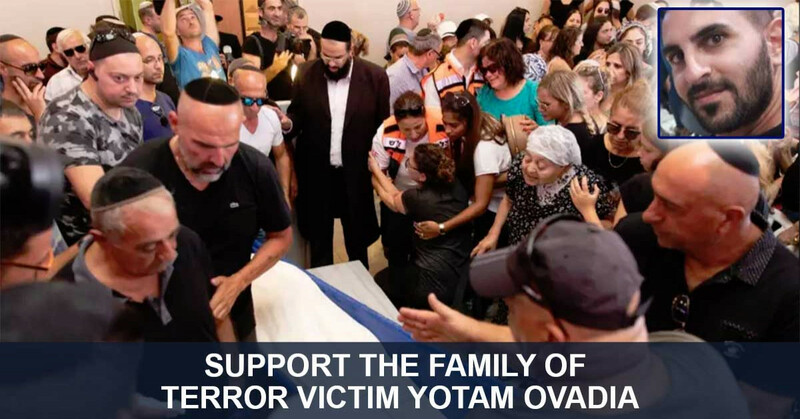 Yotam Ovadia Hy “d, was murdered on the eve of Tu B’Av (7/26/18) by a terrorist in the settlement of Adam. Yotam was a humble, modest, shy, and exemplary family man, loved and beloved by his family and friends. Yotam was a man who respected his parents in a way above all, loved his wife Tal and their two children. This dear and beloved man was murdered only because he was a Jew. Yotam was 31 when he died. Survived by a wife and two small children, Harel 3 years old and Itai, 9 months old. Yotam, a decorated Chayal, served in the IDF in the combat unit of the Mishmar Hagvul and was highly respected by his commanders. Upon completion of his military service, he began working for Brinks, where he was highly regarded by his superiors. On the evening of Tu B’Av (7/26/18) Yotam wanted to surprise his wife Tal and prepare dinner for her. 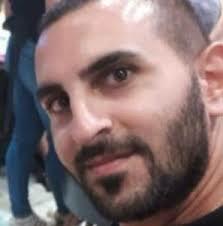 When he came out of his house to bring the groceries, he was attacked by a terrorist who fatally stabbed him and brought Yotam to his death. Yotam was a great hero. Through his fatal injuries Yotam fought the terrorist until his last drop of blood and prevented many more injuries and possible death. The funeral was attended by hundreds of people who gave their last respects from ministers, Knesset members and the mayor of Jerusalem. Each one delivered an emotional speech about Yotam. With Yotam’s death our family is bereaved. The pain of his tragic death cannot be consoled. The pain is unbearable and my mind does not accept it. Our reality has changed, our lives have changed forever. Harel, old enough to know and miss his father and will never see him again. Itai will never know what it means to have a father. Love of my life, we will never forget you! We will not forget your good heart and the beautiful, happy and wonderful moments that we had together. You were everything to us. You loved everyone and everyone loved you. You had a heart of gold. Yotam, I miss you, the children miss you. As time passes the pain becomes greater and more unbearable. My beloved, rest between the wings of the Shechina and protect us from all harm. May G-d avenge your blood and the haters of Israel and their messengers be punished. We will treasure you in our hearts forever. May your soul be bound in the bond of eternal life. Today, Tal relies on handouts for food and diapers to support the young boys. But continuing expenses as they grow older will make it harder and harder for them to live anything close to the life they would have enjoyed as a family. Your tax-deductible donations will be collected into a trust account for Harel and Itay, kept in a trust account at Bank Leumi and distributed for the benefit of the children. Every bit of support will let Tal, Harel and Itay know that they are not alone. That neither Yotam nor his family will be forgotten. Every single name on this campaign will be a voice in their darkest hours, telling them that there are righteous people in this world who, like their father, stand up in the face of terror. Can you be a source of light in their darkness? "May G-d bless you and your family"
"For an Aliyah for Avraham ban Osna h'Kohen"
"Hashem should give you strength to raise your family, and remarry when the time is right BezH." "MAY GOD ALWAYS BLESS THIS LOVELY WOMAN OF GOD, AN ALL SHE DOES TO SPREAD THE WORD OF GOD'S LOVE FOR ALL OF US, AMEN"
"May HaShem comfort you among the mourners of Zion and Jerusalem. Justice NOW!" "Dedicated to Chaya and Eli Goodman on their recent marriage"
"Wishing your family strength to go on as he would have wanted you to do." "WISHING YOU ALL ARICHAS YOMIM MAY YOU ONLY KNOW SIMCHAS IN THE FUTURE MAY HASHEM BLESS YOU ALL"
"May the LORD keep these precious children in the palm of His Hand"
"Hashem should help the family and also Yidden !" "I am so sorry for your loss. May God Bless you and your children." "May you have only good things in the future"
"May you be comforted among the other mourners of Zion and Jerusalem"
"We are deeply saddened by the loss of your husband and father. May his radiant memory and love be a source of comfort ." "May this be for the aliyah of the neshamos of all who have died al Kiddush Hashem." "In memory of Yotam Ovadia hy'd and Ari Fuld hy'd, patriots. May their blood be avenged with righteousness." "Dear Tal, My heart is with you and your children this Purim and Pesach. Shalom, Ellen"
"One need not be Israeli to care and feel their pain, showing love and you are there for them gives them hope." "In Memory of This Week's Jewish Victims of Terror"
"Dear Tal my thoughts go out to you at this very sad time. I pray Hashem will comfort you and your children I will continue to pray for you all. Sheila"
"May your grief find some relief from the knowledge of all the people who care about your sacrifice." "May Ha-shem comfort the family among the mourners of Zion"
"In honor of my Mother.Miriam Mandelbaum." "In the name of Gabrielle and Raoul Bokobza"
"בכל אשר תפנו תצליחו בעזרת ה' יתברך"
"Im memory of Reuven nechemiah"
"My prayers are with you." "You have friends in America." "I’m so sorry for your suffering. May his memory be for a blessing." "In memory of my husband Yonatan ben Shula"
"May Yotam's memory be a blessing. Tal, your American Jewish family is here for you and the children. Sending strength and love." "May Hashem bless the family and all of Israel and rid the world of our enemies"
"In loving memory of Anit Bergher"
"My heart and thoughts are with you BH"
"כל המציל נפש אחת כאילו הציל עולם כולו צדקה תציל ממוות"
"May Hashem give you the koach to carry on for your children. May your husband's memory be a blessing for all of Klall Israel." "B"H" May the achdut shown by the Children of Israel for their own rises before HBKU Throne of Glory and plead for our redemption, today"
"If I say what I think you won't respect me in the Morning"
"Remain strong and someday this hatred will be gone." "For you and your family!" "May HaShem bring to the Ovadia family the Comfort that only He can provide. May He surround you and your family in His Embrace, and His Love bring a healing to the void and pain. He is there beside you and your family, walking with you all in this difficu"
"In memory of my late husband Brian Y. Davidson. Condolences from my house to yours." "Chazak V'Ematz. May you be comforted among the mourners of Jerusalem and Zion." "Compassion and unity with our brothers and sisters who are under attack"
"May Hashemite bless his memory and may Israel protect those who we all love." "Blessings, prayers and deep sympathy from Ireland"
"You aren' t alone! I pray for you with my friends! We love you!" "May HaShem care for his people"
"From Shulie and Jack Stroh. Be strong." "Thank you for your great sacrifice on behalf of the State of Israel and the entire Jewish People." "We hope our additional donation provides some measure of comfort and hope to this grieving family." "May Yotam Ovadia name be a blessing to all." "The Jewish people are with you. Am Yisroel Chai!" "We stand by you with what has happened and condemn every attack against Jewish people who are innocent." "Peace, Love for the word"
"Tal please stay strong. With the help of the Women in Green we may yet achieve sovereignty over all of Israel." "May they be comforted among the other mourners for Zion and Jerusalem." "I hope this helps the family." "Praying for your family and for mashiach to come"
"In Honor of the memory of Yaacob and Malkah Benzaquen Sultan." "In memory of my Beloved Parents Etela Bat David & Avrom Ben Sholom"
"God bless you and your children. 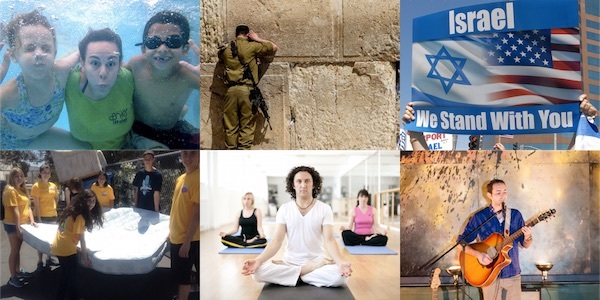 God bless Israel." "Wishing the Ovadia family strength and healing." "In memory of all those who perished for their beliefs in Judaism"
"May Adonai bless you and your family"
"This contribution is in memory of Moshe Arron and Rachel Sater Levine may they rest in peace." "My Condolence toThe Ovada's Family"
"Yeshua Mescheich gives to you." "May God bless you and keep you during your time of sorrow." "לעילוי נשמות של יונה ומרים הייס ושאול ומרים סולומון ופיגא סלומון ושר שלום ודוד ברוך"
"May God Bless you and yours"
"May Hashem give you strength, Tal." ".in your memory and in you honor...... Am Yisrael Chai"
"שהקב"ה מביא את כל הברכות שלו למשפחה הזאת"
"We stand with you always, and our prayers stand with you too xxxc"
"We grieve for this family and hope this small contribution will provide some measure of relief to them in the future." "In loving memory of Vivian and Jacob Schwartzman"
"Hello, I am sorry for your loss. God provided for me when I lost my dear husband 6 years ago. Included is a small gift to help with your needs. May the Lord comfort and strengthen you and uphold you with His mighty right hand. I am a Christian and wish yo"
"May Hashem help you with everything! I am so heartbroken for your loss." "May God bless you and your children all the days of your life." "May Hashem give you comfort"
"משתתפת בצער המשפחה, מן השמים תנוחמו ." "Be strong and let children remember what befell your family!" "I pray that you may reach your fundraising goal. And I am sorry for your loss." "God bless you and your children. When ever I pray (every day) I will ask for the three of you to find peace in your hearts." "God bless your family, we understand your terrible loss of husband and father"
"Our hearts are with your family"
"How many Jews must die! Tal: Be brave for yourself and your children." "We would like to share the burden of Your deep, dark pain and encourage all who have gone through a similar tragedy. True Light is coming, with healing! With prayers, H&L"
"Sincere condolences, Tal. Wishing you the best for you and your beautiful children. Am yisrael chai. - Mark Polis, MD"
"WE ARE WITH YOU FOREVER"
"in memory of our son Aaron, BDE"
"Take care of you all"
"A thought for the best!" "How difficult life can be sometimes! You have people all over the world praying for you and sending money. May Hashemgive you strength and love to carry on, and hear your anger too, with compassion and support. Love from Dvora in California"
"May Hashem bless your family"
"May Hashem bless you, your children and your whole family“ . Ad 120 !!" "May G-d bless and keep his wife and children from any further ills in the future. And may his memory be for a blessing." "In memory of Bryna bat Michael, ע"ה"
"may this donation provide some comfort for the family"
"May the family have no further sorrow." "May his Dear Soul Rest IN Peace and may you and your Family be Blessed with Only Good Things To Come"
"B"H" May the memory of Yotam ben Avraham be for a blessing, and may HKBU look kindly upon the archdut of Klal Yisrael and care for a Jewish grieving widow, and may this love for one another bring about Redemption, in mercy"
"May H’ send help and comfort for you and your sweet children!" "In honor of Barbara and Daniel Liberman"
"May Hashem comfort you..with mourners in zion and yerushalaim"
"In memory of my dear husband Sholom Mandelbaum A"H"
"The least we can do during such unspeakable tragedy is show our help this way ... Hashem Yerachem"
"May Hashem comfort his family among the mourners of Tziyon and Yerushalayim"
"May Yotam's memory be for a blessing to his wife and children. Thanks to Amir and Jewcer for remembering this family." "le ilui nischmas menachem mendel ben yoel"
"I’m so sorry for your loss"
"I dedicate this contribution to the memory of my parents." "May G-d father Itay and Harel and comfort them and their mother to live full lives in the Land of Israel." "Very sorry for your family's senseless tragic loss... Your family is in our family's prayers." "May haShem comfort you and your children"
"Please accept my deepest sympathy on your loss." "There is a tide in the affairs of men Which, taken at the flood, leads on to fortune; Omitted, all the voyage of their life Is bound in shallows and miseries." "May the memory of your husband be a blessing and may G'd give you the comfort and strenght you need to go on and raise your kids as proud Jews!" "To the Survivors: God bless you and your children. You have friends." "Good luck Tal. We support Israel....leo"
"In memory of Syne Grinsztajn Z"L and Jacy Grinsztajn Z"L"
"May Hashem protect and comfort you and your family." "l'zecher nishmas chaya bas yechiel meir"
"May Hashem comfort you and give you strength, and bless your family." "May Hashem bless you and strengthen you." "May Hashem comfort all the mourners. Amen!!" "We share your sorrow and feel your pain"
"May Hashem bless the family with peace, comfort & strength to heal." 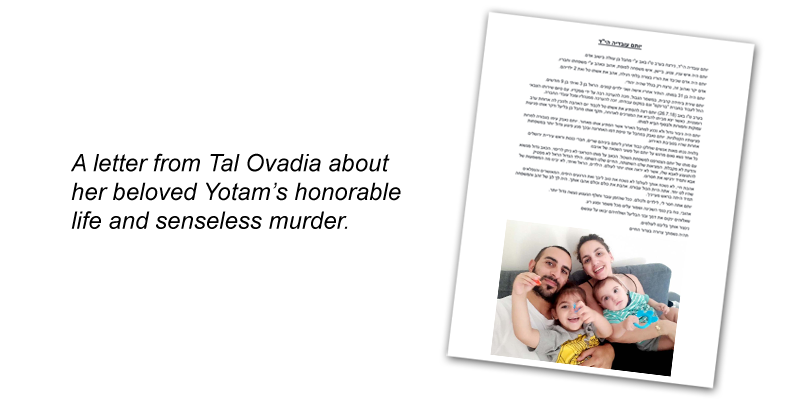 "To Tal, Itay, & Harel - We are sending you love & strength!" 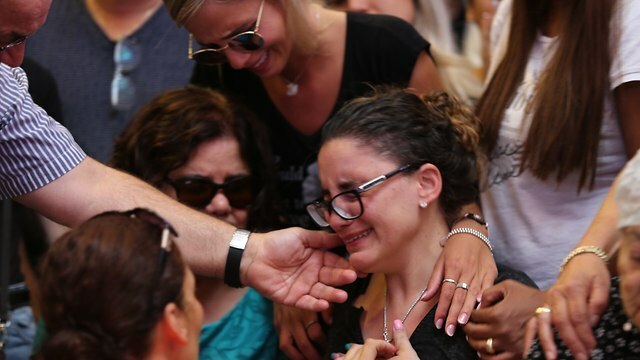 "In honor of Sam Spiegel, my Grandfather, buried in Jerusalem"
"What a tragic loss.... so sorry Baruch Dayan Emet"
"My heart is with you in your grief. Phyllis"
"Out prayers and thoughts are with you across Am Yisroel"
"IN HONOR OF MRS. SUSAN GERSTEL"
"Don't let fear and hate destroy your life. My thoughts are with you"
"May Hashem give you strength and comfort." "l'illui nishmas Rivka Brein bas Eliezer"
"Tal, Itay, and Harel. our sweet prayers are with you.May Yotam be a source of strength to you always"
The Yotam Ovadia Memorial FundPlease feel free to contact us at 720-477-0690. Thank you for your life-affirming donation! Thank you for your DOUBLE life-affirming donation! Thank you for your TRIPLE life-affirming donation! Thank you for standing with Israel's victims of terror, and supporting Tal, Harel and Itay in their time of greatest need.